Why purchase our Premium Ultimate Blogger WordPress Theme? 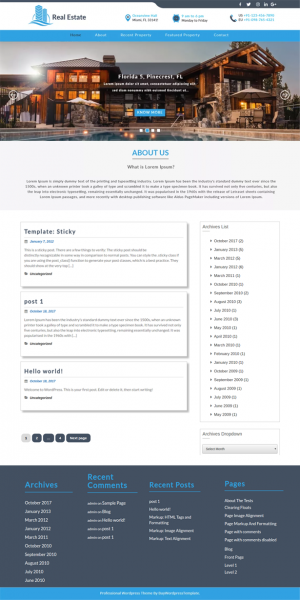 View cart “Coaching WordPress Template” has been added to your cart. Your love for blogging can be elegantly expressed to the world with a sophisticated and user friendly website. And that is easily possible now with the help of Ultimate Blog WordPress Theme which is a Blog template for WordPress that helps to make a website of your dream. It is simple and do not require any professional to edit and customize according to you. You can completely do it end to end with wide variety of options and easy customization widgets. Our Ultimate Blog WordPress Theme is one of the Most Popular WordPress Blog Theme that is used by a number of blogging professionals. This Simple WordPress Blog Theme is mobile friendly as the view can fit to any device while adjusting the resolution and has responsive designs. It is SEO friendly and can be translated according to the local language. It has easy pagination options with cross browser compatibility and an effective Call To Action (CTA) button that can help you get the necessary action done on the website. You can Add or Delete any feature according to your requirement. This user friendly Ultimate Blog WordPress theme comes with vast options of background color customization to choose from to give a professional look to your website. We have solution for all your needs as we have a product specific Blogging theme. 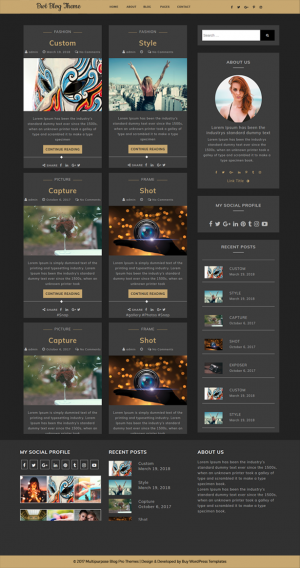 This WordPress Blog template is versatile and helps you design a website for any blog category. If you are a fashion bloggers you can use Fashion Blog WordPress Theme or WordPress food Blog Theme, WordPress travel Blog Theme if you are food blogger or travel blogger respectively. 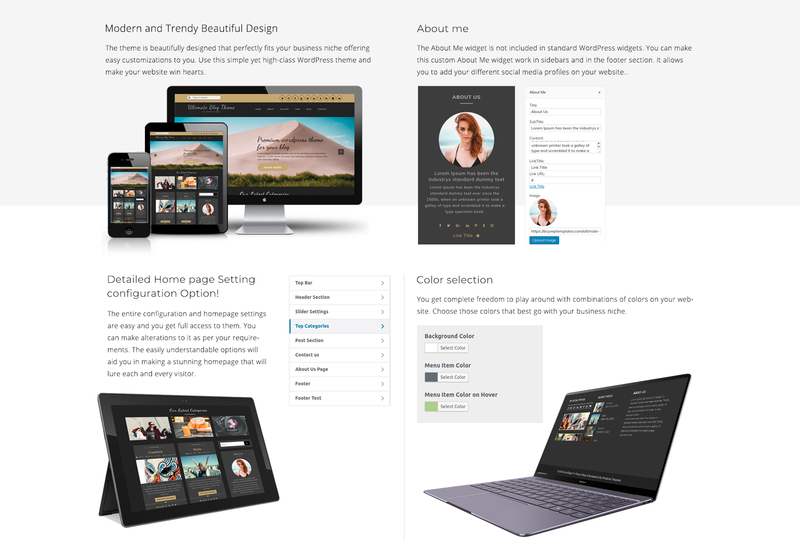 We have themes for tech bloggers, lifestyle bloggers, beauty bloggers and much more. These are Best WordPress Themes for Blogs as this Modern WordPress Blog Theme helps you focus on your blogging while displaying your lovely piece of writings without any fuss. The images can be easily incorporated with easy add buttons and page can be adjusted to high or low resolutions according to your requirement. The editing is fast and you can save drafts if you want to publish later. With this Ultimate Blog WordPress Theme you can edit your blogs as many times as you wish with flexible edit options even after publishing it. Premium WordPress Blog Theme can commercialize your website as it has all the necessary widgets and is compatible with the famous WordPress plugins. Make an impressive website with this smooth and fully functional Ultimate Blog WordPress Theme and get maximum traffic for your blogs.